Staying across the street from The Royal Ontario Museum (aka the ROM) allowed us to get some needed sleep before it opened. But in a blink of an eye, the place had a lineup out the door and was bustling with activity. After a few hours there, it was no wonder why since there was so much to see! It was established that we had to grab some lunch and come back in the afternoon to see the rest. We made the short walk (or long walk according to the whining kids...) over to Burger's Priest on Bloor. When they say TO is a burger town, they aren't kidding as we spotted many different joints around as well as many restaurants offering a good one on their menus. But over at BP, it was all about the Vatican City sporting a double-cheeseburger sandwiched in between 2 grilled cheese sammies with lettuce, tomato, pickles, mayo and ketchup. 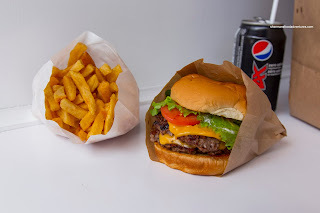 Due to the large amount of processed cheese, the burger ate on the saltier side (probably exceeds one's sodium intake for the day), but was still enjoyable since the meat was moist and juicy. The grilled cheese was on point with crispy and buttery surfaces while melty on the inside. 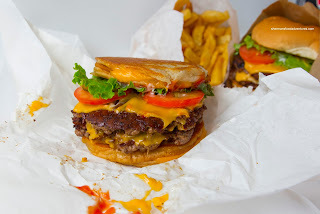 It was good, but really, the shock factor was more impressive than the burger because my Double-Cheeseburger was much more tasty as it was less salty and the soft bun served as the perfect vessel for the moist and well-seared meat. Viv went for something a bit different in Peter's Denial featuring a fried breast that was moist and nicely brined. The batter was crispy and appealingly spicy. 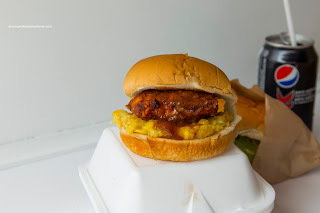 It was balanced out by the sweet creamed corn (yes really) and gravy on the same soft bun. This was actually quite good despite the weird corn concoction. 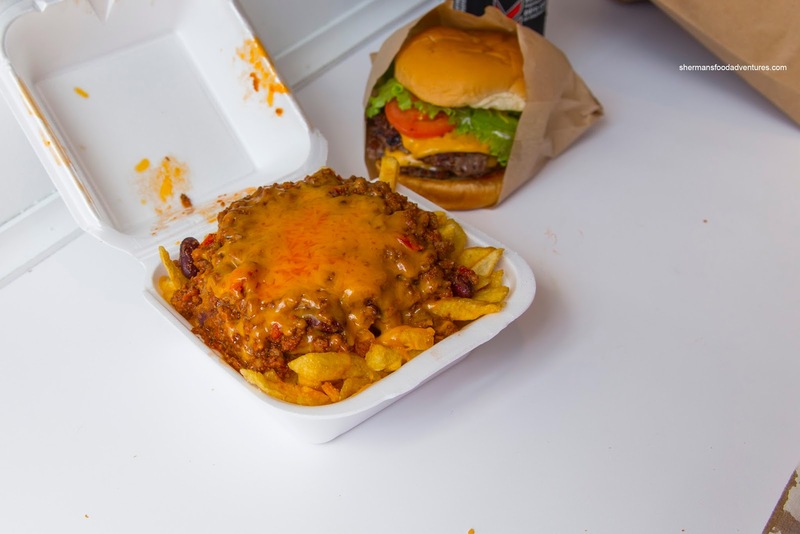 Along with my cheeseburger, I had the Chili Cheese Fries which were overloaded with meaty chili and melted cheddar. I found the chili to be overly mild for my own tastes, but okay overall. There was enough of it to coat every fry. About those fries, they were crispy, starchy and really good. 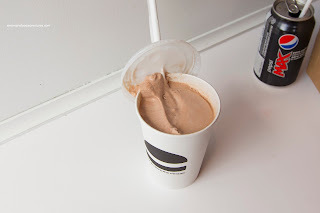 Lastly, we added a Chocolate Milkshake for good measure and it was good as well. Lightly creamy and totally drinkable, it was more airy than thick. It was chocolatey without being overly sweet. Due to the airiness of the shake, it melted rather quickly and became a rich chocolate milk. 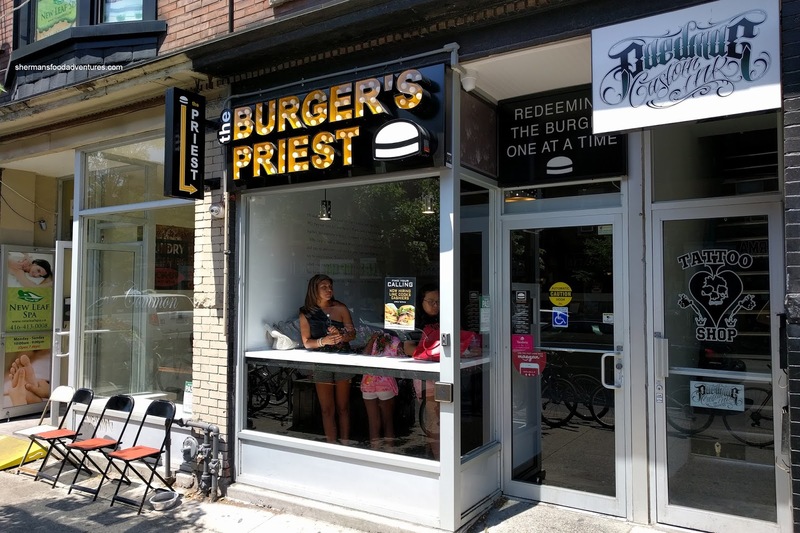 So did Burger's Priest live up to the hype (well, the hype about it for a visitor that is)? For us, it was a yes as we enjoyed the double-cheeseburger with its simplicity and being well-executed all-around. As I said before, the Vatican City was more for the novelty than anything else.